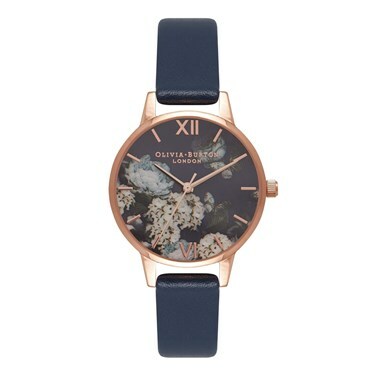 Rich in colour and pattern, this timepiece works Olivia Burton’s hand-illustrated signature florals across a dark midnight dial. A soft, smooth navy leather strap complements the midi design, which is housed within a rose gold-plated case. Stack alongside delicate rose gold bangles for added impact.